^That is sooo cute! I love Emma's smile. They have amazing chemistry together as Harry and Hermione. 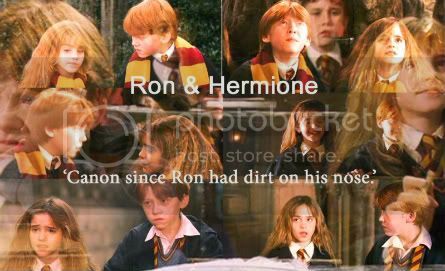 Even though canon is Ron/Hermione. I can see how people might get the wrong idea when watching the movies. Looks like it's been a while since any pics were posted, so I think I'll contribute this nice pic of Dan and Emma. I figured since I contributed a couple of pics to the Rupert and Emma thread yesterday, I'd contribute a pic to this one.